I didn't have much time for my creative hobbies unfortunately. For those who would like to check out the first few levels, go here. Time flies by so fast, the last game release was a year ago! 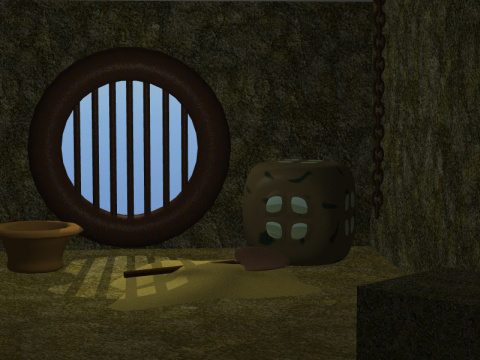 A quick room escape game is ready for you in the Games Download section: Mystery's Dungeon Escape. "The Secrets of Mr. Jenkins"
January 2010 - New Game! A new point and click adventure is ready for you in the Games Download section: The Space Cadet. You can check out some screenshots here. 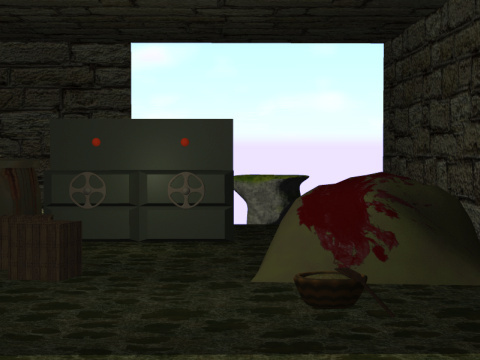 Escape Riddle has already many levels to solve, and the last few levels will be added very soon. Check out the latest screenshots for an upcoming game here. There's another short and easy hidden object type game by Mystery's Games. Your task is to find the 10 webdings symbols. Have fun! A little online spot the numbers type game by Mystery's Games. Can you find all 20 numbers? Good luck! Check out the Games Download page to get them. to download in the Games Download section: In Somnia. The sequel will be hopefully out in March. Enjoy! A new game has been released: Santa In Trouble. Go to the Games Download page to get it. Have fun! for you to play. Enjoy! Finally a new guestbook is available, feel free to post comments. You find a small experimental online game created with Adventure Maker on Mystery's Games Forums. Cruiser Riddle with 50 levels has been released. The work on the point-and-click adventures continues. The whole site has been updated. It needed a fresh look, and this is the result, I hope that you like it as much as I do. Some of the internal links have been changed. In case that you have bookmarked any pages (for example the games page), please update your links. The work on Sea Legend Demo continues. There is still very much to do, therefore I can't give any information about a possible release date. Please check back from time to time to read about the progress. The new Official Mystery's Games Forums is open now! You can get there hints and help for all the games created by Mystery's Games. Release of 99 Chambers, a very challenging change the URL riddle with 99 levels. The Adventure Maker Team announced the release of the new version 4.4 of Adventure Maker Free Edition, which adds support for the iPhone and the iPod touch. The created games run safely through the iPhone / iPod touch built-in Safari web browser. They do not require any hacking or system modification of any kind.